the project GENERATIVITY: MANAGE IT! keeps moving on in its implementation. 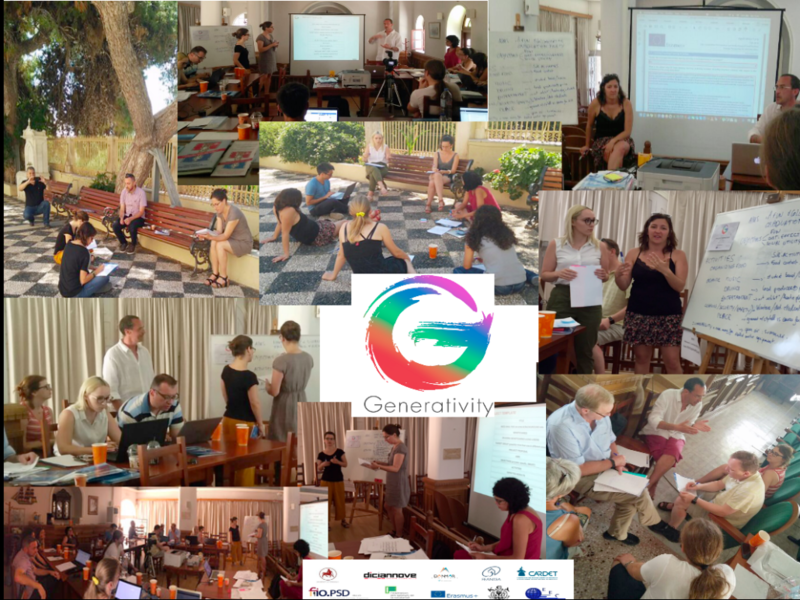 Between Monday 12th and Friday 16th June 2017 all project partners met in Syros (EL) for a Short-Term Joint Staff Training Activity. These have been five days of training on Project Cycle Management, during which the participants tested the training modules on PCM that has been build in a draft beta version. The training days are scheduled on a precise program: the more skilled partners chaired each day with the main theme of the day, while other partners will receive and validate the training and the lessons learnt. The partners chairing the various days have been: Diciannove (ITA), EEC (Uk), Danmar (POL), Feantsa (BEL) and Cardet (CY).